The Japanese Geoparks Network (JGN) is a specified nonprofit organization which is a networking platform for the Geoparks in Japan. 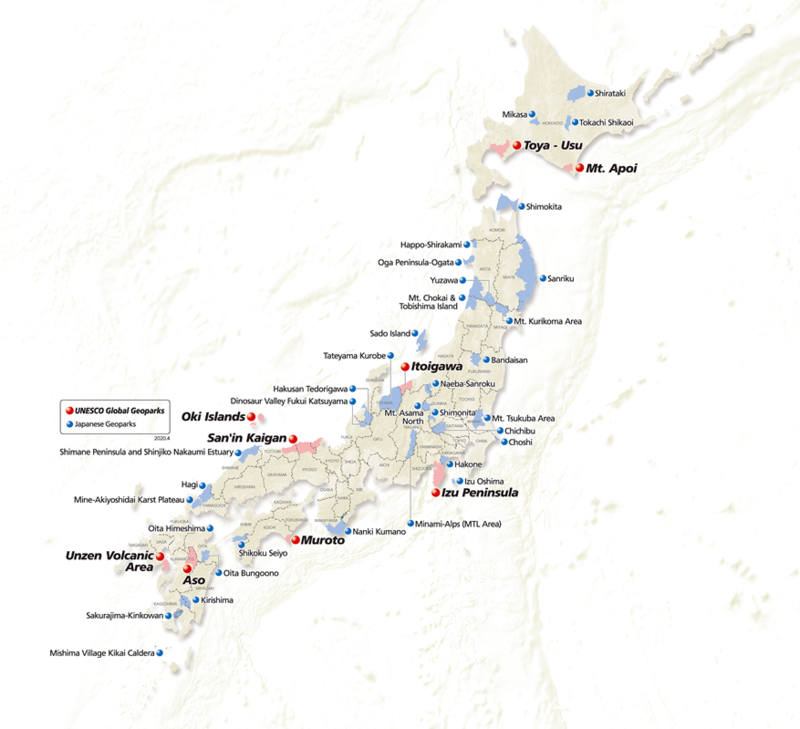 As of April 2019, the JGN regular membership consists of 9 UNESCO Global Geoparks in Japan and 35 Japanese National Geoparks. There are 15 aspiring geoparks listed as associate members. In December 2007, the Japanese Geopark Liaison Council was established with support from Japanese geologists and private organizations that were conducting geological surveys, and some local authorities and others who wish to establish Geoparks began exchanging ideas. In December 2008, seven Japanese Geoparks were designated as national geoparks. In May 2009, the Japanese Geopark Liaison Council became the Japanese Geoparks Network (JGN). Every year, the JGN National Conference and workshops are held. Active support is given to areas which have suffered from natural disasters through sharing information about natural disasters, such as earthquakes. Middle School from Hong Kong Visits Japanese Geoparks! 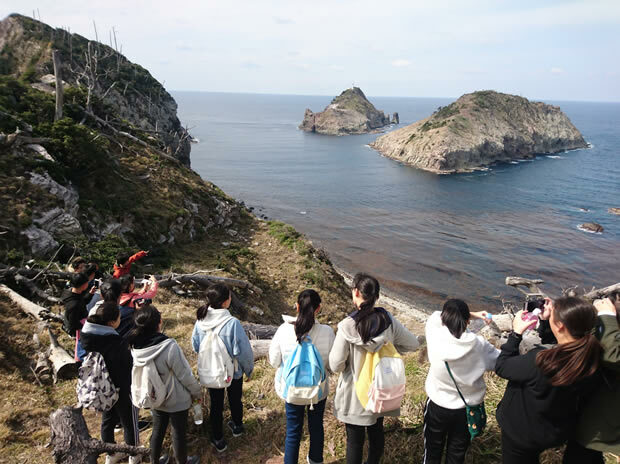 A group from Fung Yiu King Memorial Secondary School (a school cooperating with Hong Kong UNESCO Global Geopark) visited the San’in Kaigan and Oki Islands UGGps on April 6th-11th, 2019. During their stay, the students learned about the geoheritage of both geoparks and experienced various local traditions. 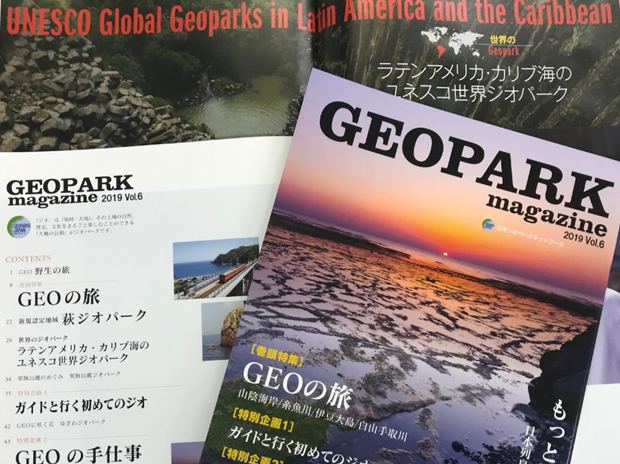 The GEOPARK magazine vol.6 was released on March 1, 2019. JGN publishes the magazine every year. This time the UNESCO Global Geoparks in Latin America and the Caribbean are featured as well as the Hagi Geopark, newly designated Japanese National Geopark. A Geopark is single, unified geographical area where sites and landscapes of geological significance are managed with a holistic concept of protection, education and sustainable development. A Geopark is a journey of bonding and learning about the earth, and a place to enjoy geotourism. It is a place where you can take a close look at mountains and rivers, learn about how they were formed, and think about their links to the ecosystem and human life. A Geopark is where you think about earth as a whole, from the ground at your feet to the boulders, and all the way into space; from billions of years into the past all the way into the future; and about the mountains, rivers, oceans, the atmosphere, and the organisms that live within it. Copyright Japanese Geoparks Network. All rights reserved.